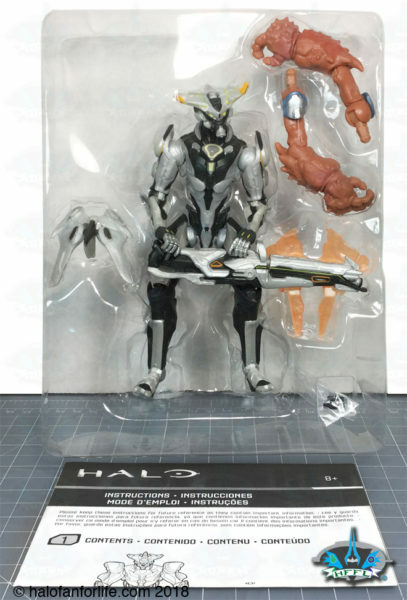 NOTE: There were two other figures shown to be in this wave. 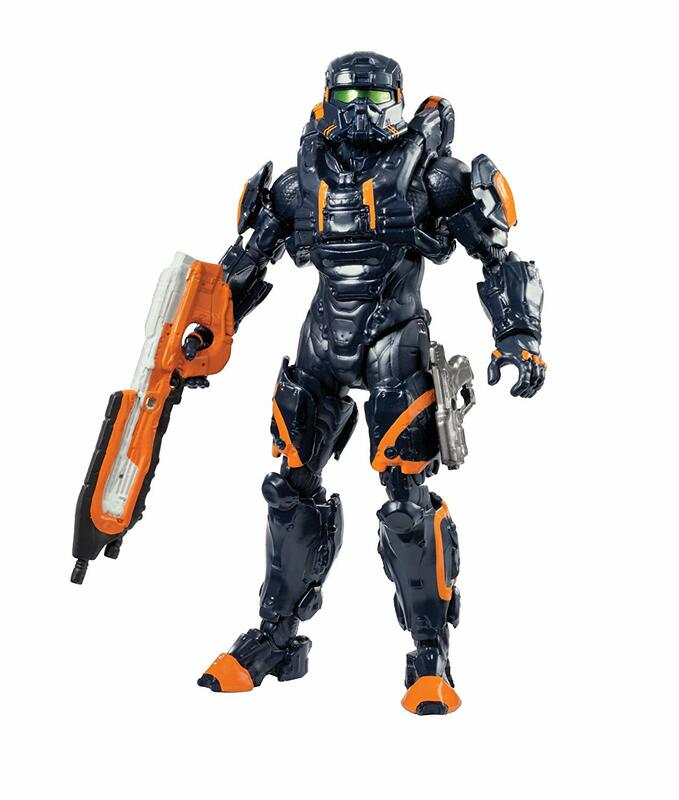 A Red Spartan Achilles and an Orange Spartan Mark VI. 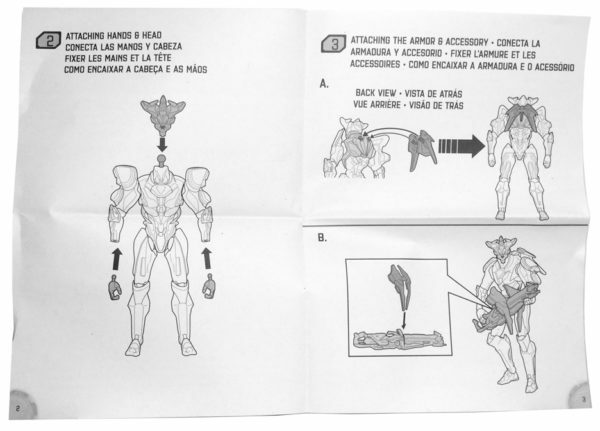 Here’s the plastic tray with the figure, back armor part, accessories, build-a-figure Grunt parts and the instruction manual. The instruction manual is usually sitting behind the yellow cardboard insert (seen through the window above). Be sure to look there to find it. 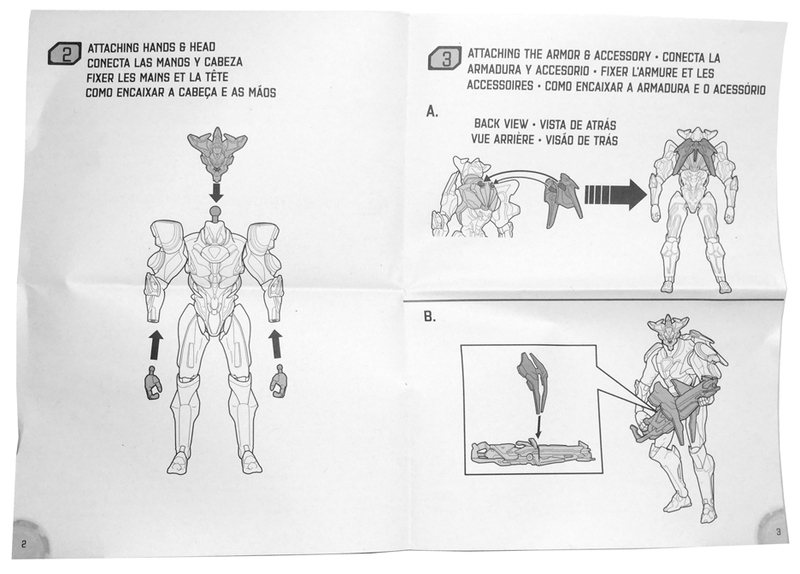 Here is the insert sheet opened to show assembly of various parts. The articulation of the figure is very good! 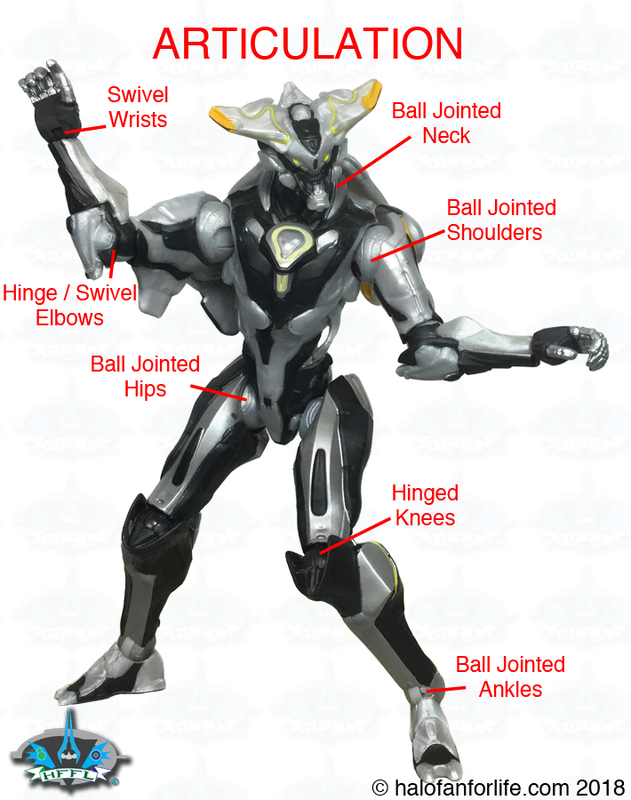 You can put the figure into a many poses. You’ll see some of those later in the article. 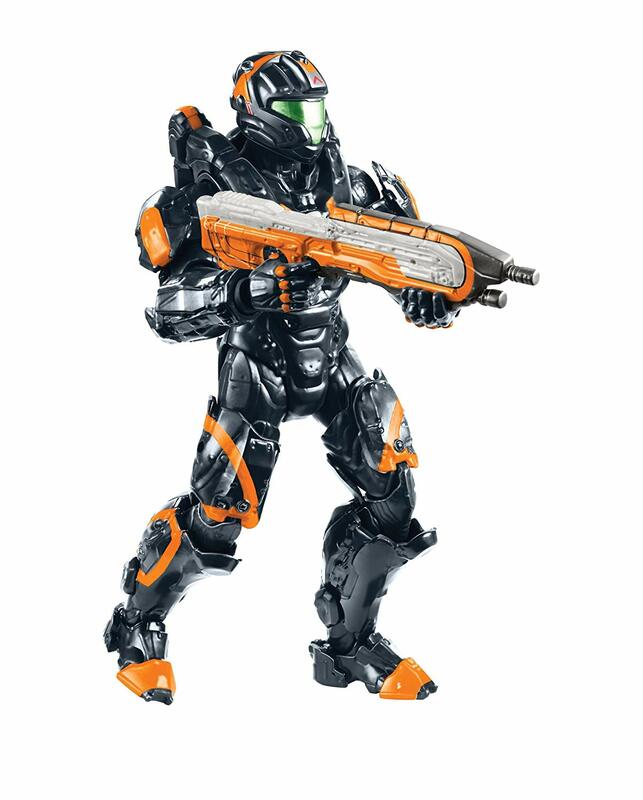 As stated above, the Promethean Officer has 3 less jointed areas. 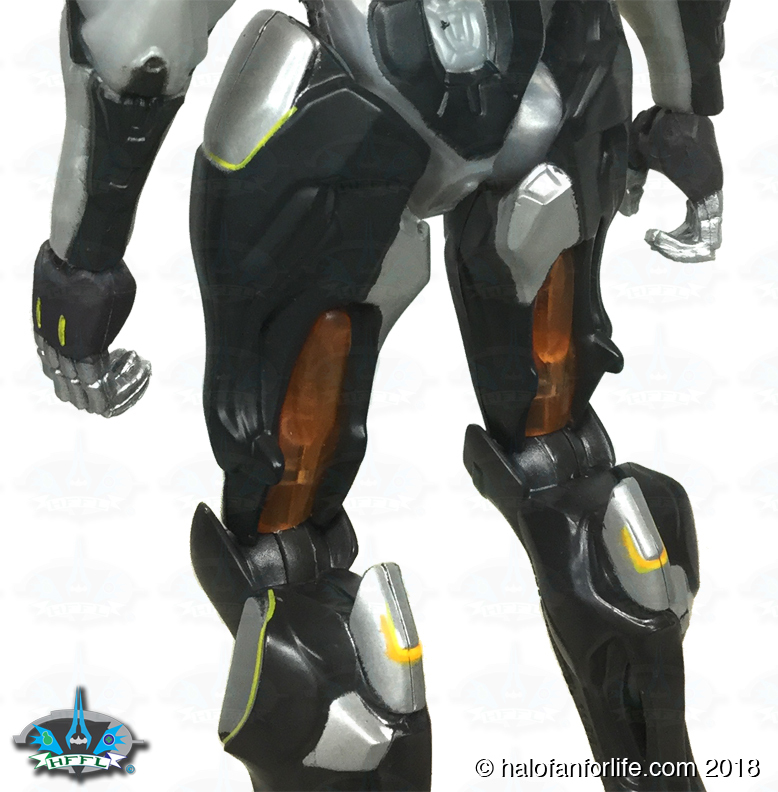 Gone are the Torso (makes sense, given the design of the character), Bicep (again, given the sculpt, makes sense) and Thigh (yet again making sense due to sculpt). 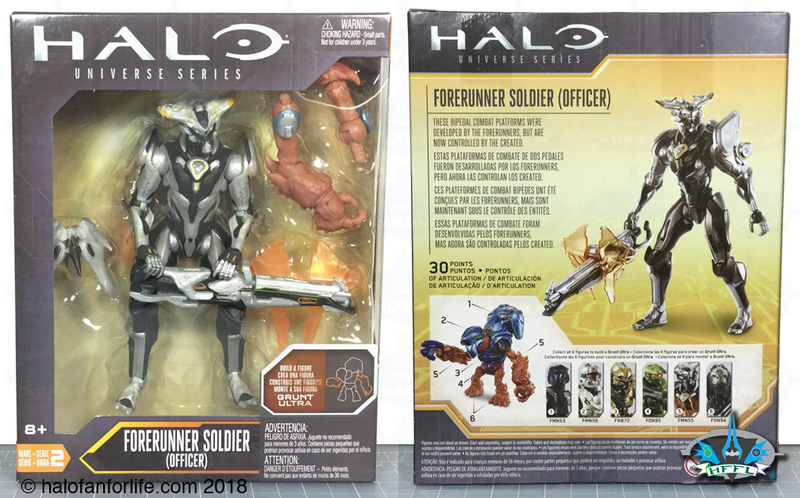 Each figure from series 2 includes a Build-a-Figure piece of the Grunt Ultra. The Promethean Officer gives you TWO pieces, both the left and right arms! 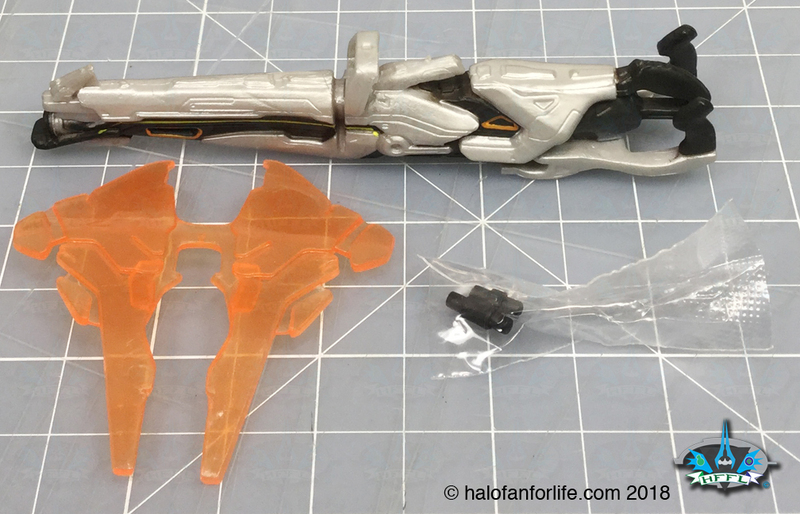 As for accessories, there are two plastic pins (as seen in the small plastic bag below). 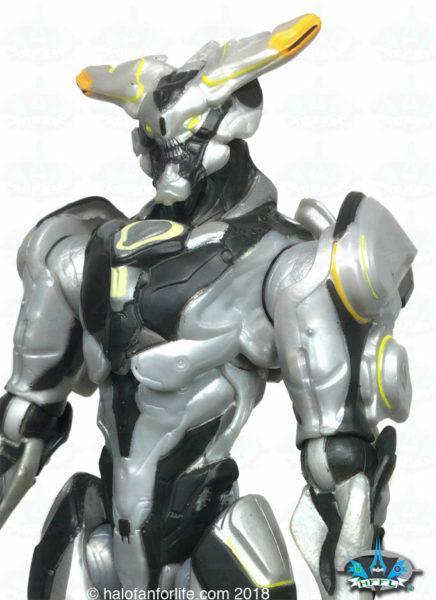 There are no holes in the figure for using those pins. So hold onto them for other figures in case you lose them. Here also is the Splinter Turret with Light Shield. I am IMMENSELY happy this was made into toy form. Definitely a very unique weapon not often seen in Halo 5. Here the turret is assembled. 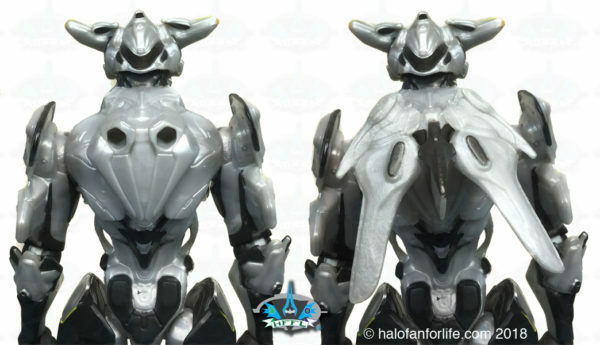 The figure comes with a small back plate, sometimes referred to wings, though they aren’t used for that purpose. I like the inner orange and yellow detail. However, they are lost when the piece is put onto the figure. As you can see there are two large holes for the back wing to be inserted into. The Promethean Officer has some really nice yellow and orange-gold piping detail. 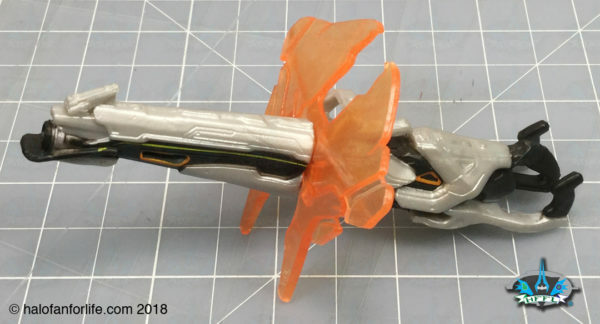 I especially like the translucent orange parts on the back side of the thighs. Nice touch, Mattel! 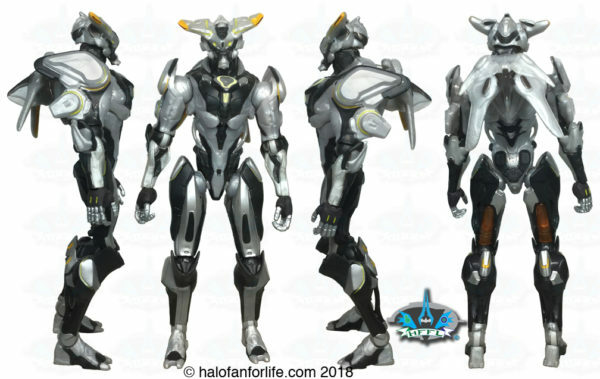 The orthogonal views give you a much better look at the overall figure with it’s hard angles. 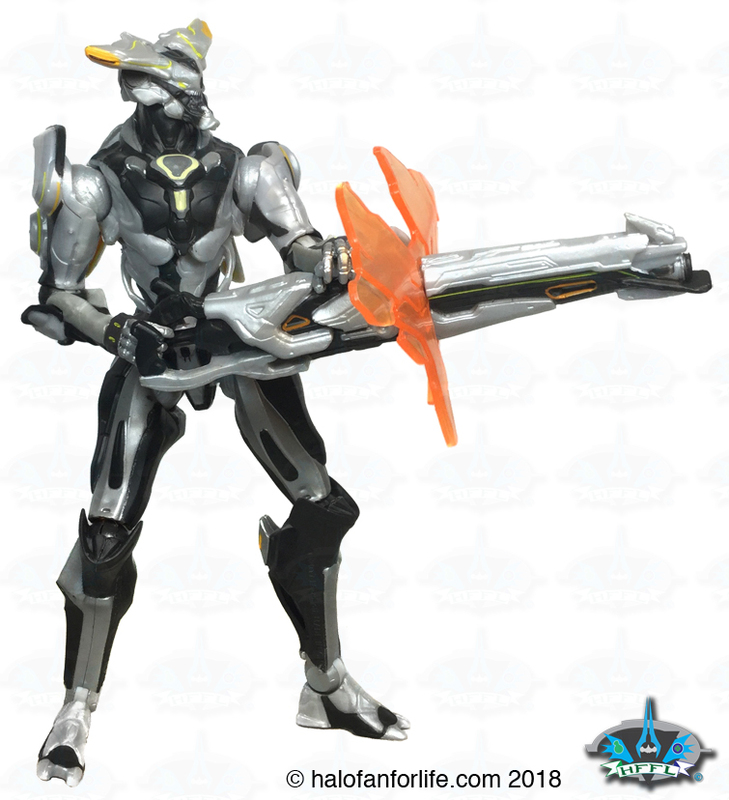 The Promethean Officer can easily hold the Splinter Turret. I have yet to see if other figures can hold it. I’ll have to check that out and report it back here on the blog at a later date. Overall: 47.5 medals out of a total 50 medals. Do I recommend this product? Absolutely! This is a rare Promethean in the Mattel line and a FIRST for the Officer in ANY Halo toy line!